Over the last few days, the Splatoon 2 community has been battling it out in another global splatfest. 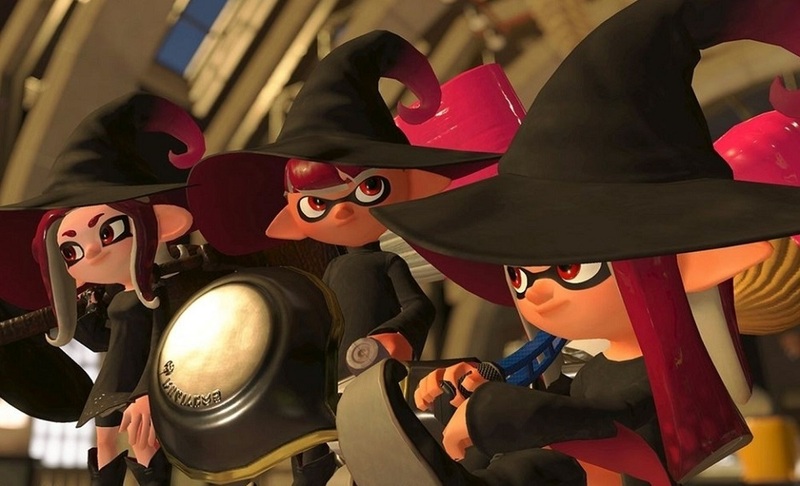 This time around, it was a question fantasy favourites as Pearl and Marina tasked players with deciding whether they preferred Knights or Wizards. The poll results and in-game scores have been tabulated and, of no surprise to anybody, Team Wizards has brought home the 2 - 1 victory for yer gurl Marina. Wizards took a huge 62% of the vote, but only just scraped by in regards to in-game points, winning Normal Play by less than 1%, with Team Knight taking the Pro point by the same amount. Close call. There's no doubt, given the public vote, that magic and sorcery is where its at, despite Pearl's open love of "slicing dudes". My favourite wizard is Dr. Strange, but not Cumberbatch, I'm talking the 1978 failed TV pilot version. Anywhoo, congratulations Marina!